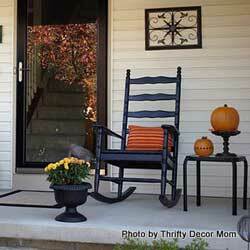 Our pumpkin photos will give you lots of pumpkin decorating ideas for your own front porch. 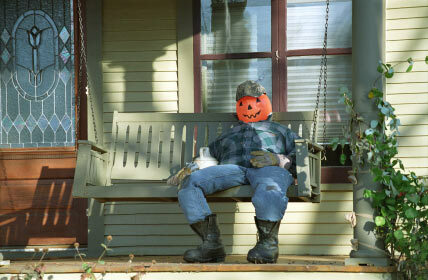 You can integrate pumpkins into your fall and Thanksgiving decor which makes them a very versatile decorating tool. They make for fantastic outdoor Halloween decorations too. 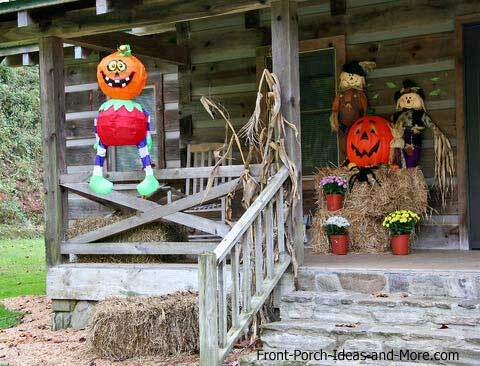 Mary and I chose these photos to illustrate different ways of decorating and arranging pumpkins on your front porch - from unusual to plain fun. 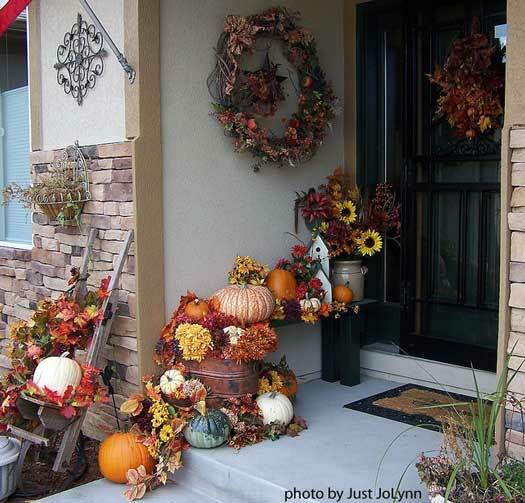 Create the perfect fall porch on which to greet friends, family, and neighbors by exploring these pumpkin decorating ideas we have for you. 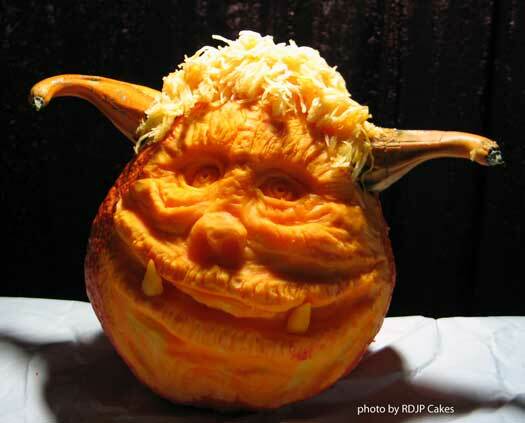 Some of the most visually striking pumpkin decorations are pumpkin carvings. The two pumpkin photos above are examples of what can be done if you are so inclined. 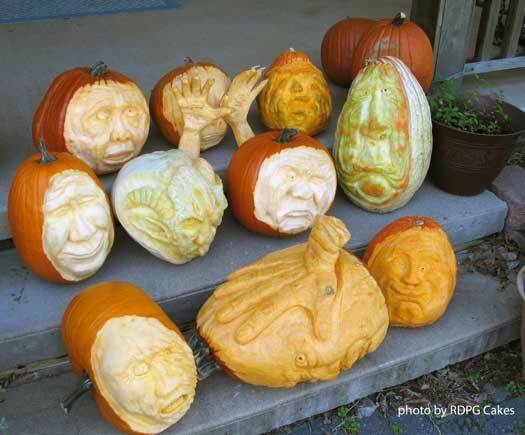 As Halloween decorations, imagine your porch steps decorated with haunting pumpkin faces - the kids would love it! Our thanks to RDPG Cakes for allowing us to feature his carvings. Want a whimsical look? You can't help but smile when you see these. And you don't necessarily need to be a gifted sculpture to capture the appeal. Also note the placement of the pumpkins in the photo above. Grouped together, they seem to orchestrate a chorus of laughter and thus have much more curb appeal. 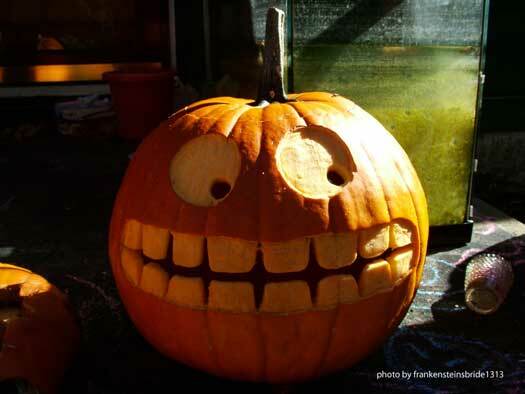 Pumpkins don't have to go it alone as the following pumpkin photos can attest. Can you imagine several of these placed together or perhaps add a lady or children to the mix. Use pumpkins to create a character like Kate did from Centsational Girl. 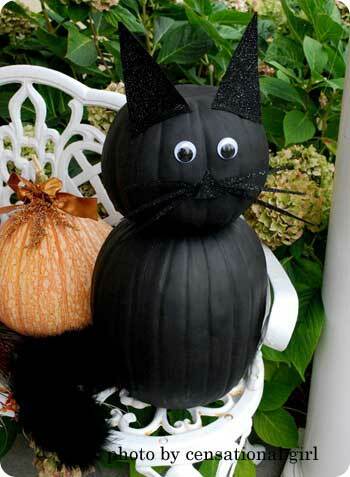 Kate turned her pumpkins into a cat for Halloween - see how she did it. Whether you can do it free hand or with stencils, painting pumpkins can be fun for both old and young alike. 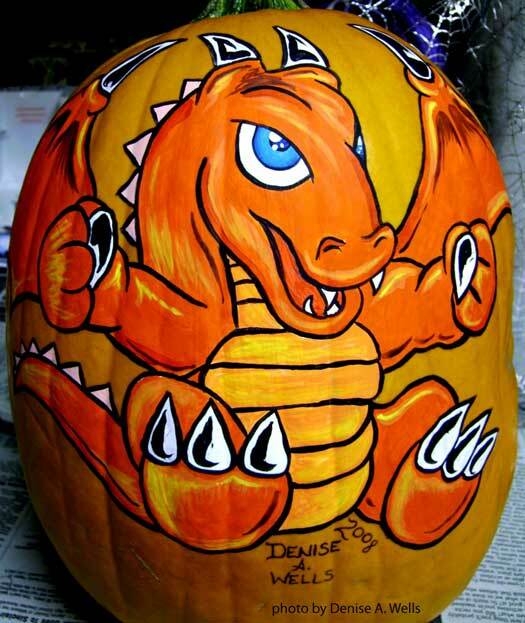 Mary and I really like Denise's pumpkin below; she is very talented and her pumpkins are works of art. 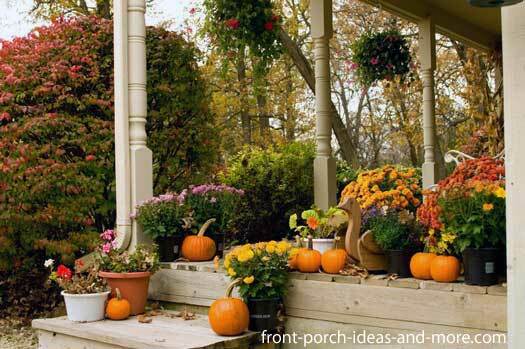 Nothing says fall like beautiful arrangements on your front porch. 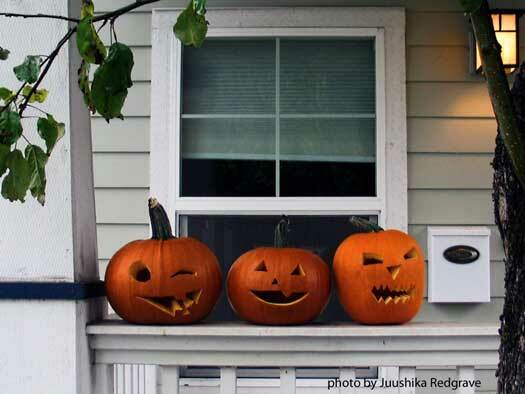 Our pumpkin photos below show severalvariations, all of which would be appealing on any porch. Your frost-hardy plants can withstand temperatures a little below freezing; however, your pumpkins are much more susceptible. 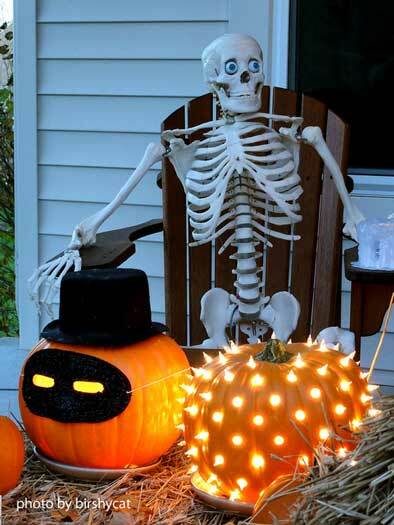 When arranging pumpkins on your porch place them in easily movable containers like wheelbarrows or carts so you can move them to warmer locations easily when needed. Place small pumpkins into baskets with colorful gourds, pine cones, acorns, leaves, and corn. White pumpkins have a more elegant appeal and look very sophisticated surrounded by colorful flowers, ferns, and other natural materials. Use contrast. 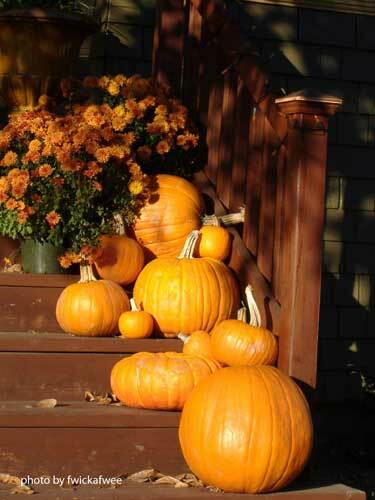 Surround a large pumpkin with many smaller ones. Pair the display with evergreens or dried leaves. 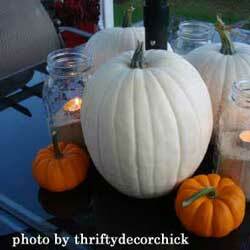 Use small pumpkins to replace bare spots in potted plants. 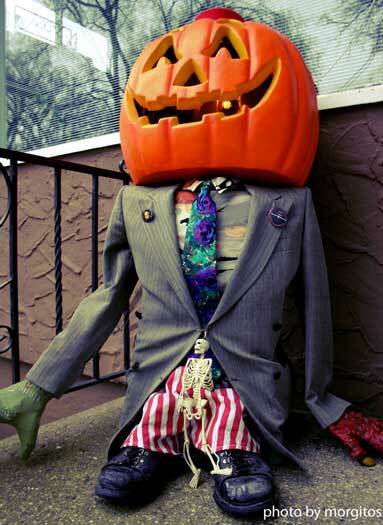 Place pumpkins on furniture. Stack them on a rocker or end of a swing. Need stands for your pumpkins? Use pots turned upside down. You can even stack them (different sizes) and paint them for a special effect. Place a large pumpkin on top. Couldn't resist this awesome pumpkin display. 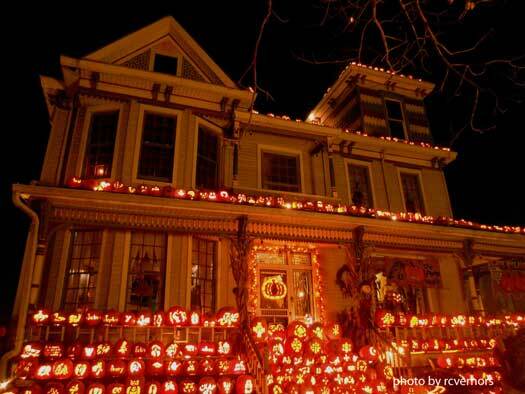 Hard to imagine that many pumpkins on our porch but if you love pumpkins and you have the space - why not go for it! 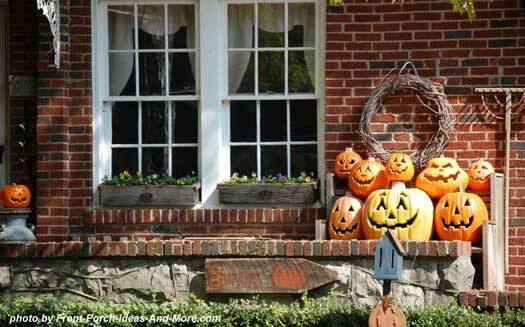 See how to make these unique decorative pumpkins….